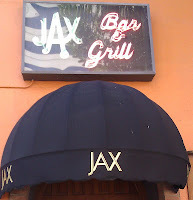 Jax Bar and Grill was within walking distance of the office where Beefaroni and I were spending the bulk of our days. It certainly made parking easy! 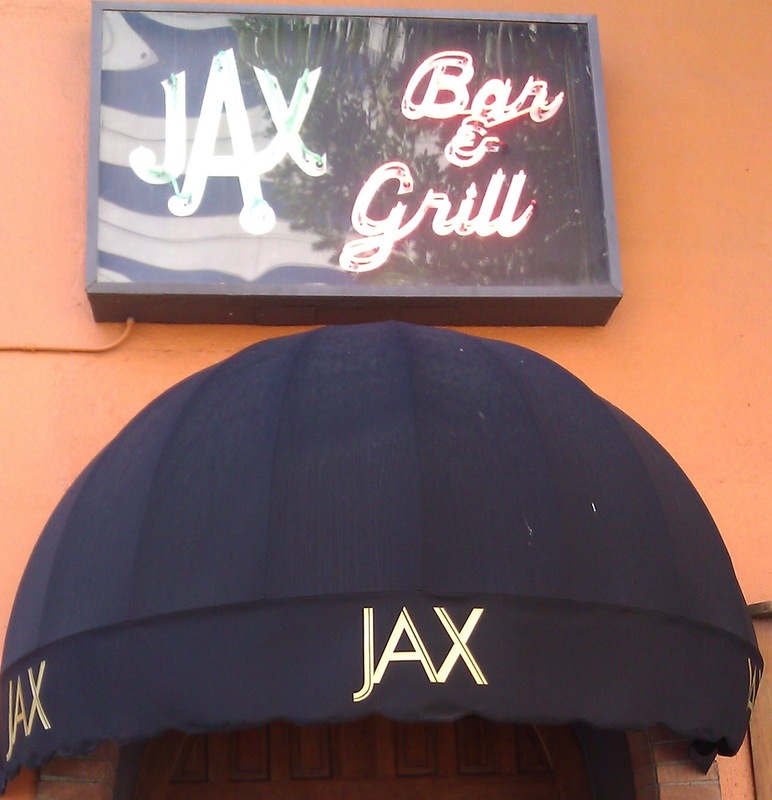 Jax was a jazz club by night. Our waiter informed me that the owner of Jax also owned the nearby Hamburger Central (a block away). We had high hopes for our cheeseburgers. The wait was about 12 minutes. Considering that my burger was thoroughly over-cooked, the time could have been reduced. The Beef: Maybe I take sh!t too literally, but when I ordered the Half Pound Cheeseburger, I sort of assumed that this would have been the weight of the actual beef. The patty was much closer to 5 ounces than 8. Perhaps the meat, bun, cheese, and toppings weighed in at 8 ounces. Perhaps the over-cooking robbed my burger patty of those three ounces. The waiter assured me that I would be eating lean ground sirloin.I think the claim of Sirloin was about as accurate as the claim of 1/2 pound or offering a Med-Rare cheeseburger. The beef was firmly beefy and..........that was it. There was none of the complexity that one might have expected from Sirloin. No aging and no iron. The grind was coarse, and the burger meat was juicy. The fat content was around 20%. The cut was most likely Chuck. If it was Sirloin, then I am glad that I did not order the steak. The Sear: The burger patty at Jax Bar and Grill picked up a nice backyard BBQ sort of grilled sear to it. There was a hint of char, and that was just fine. The Preparation: I ordered a Med-Rare burger. I got something closer to Med-Well, and I did not have time for a re-fire on my lunch break. Beefaroni's Frisco Burger did come out Med-Rare, so that was a freaking head scratcher. The burger meat came in pre-ground from Golden West Trading, Inc. The thinnish patties were hand formed. 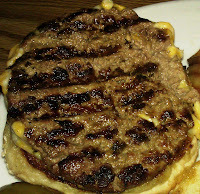 The burger patties were gently formed, so they were not chewy. The Cheese: This was a blend of shredded American, Jack, and Cheddar. The cheese did its job. It added savory notes and a creamy texture. The Bun: Jax Bar and Grill got there buns from Frisco Baking Company. The burger bun was just fine. Toasted, seeded, sweet, soft, fresh, and moist. The bun was a winner. 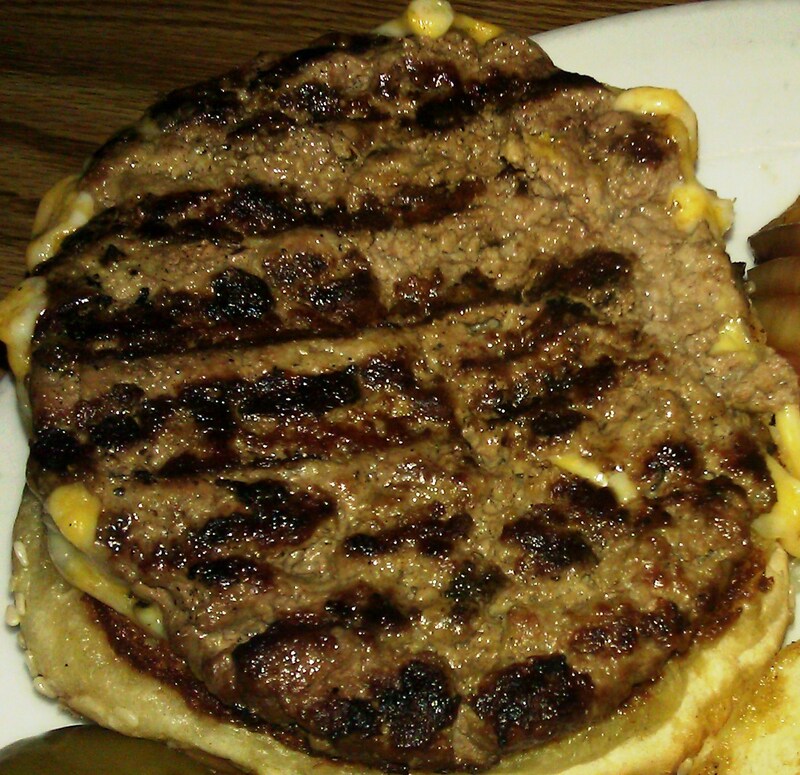 The Meat To Bun Ratio: The bun at Jax Bar and Grill was a bit big for my under-weight and over-cooked cheeseburger. The bun was better suited to the what the menu promised. The Toppings: The shredded Iceberg lettuce was fresh, but I would never top a burger with a wet mess like that. The tomato slices were perfectly ripe. The Fries: The fries were of the previously frozen, peel-on, par-cooked, and shipped in variety, but the fries were excellent. They were cooked to a crisp golden brown, and the fries were perfectly salted. The Value: I dropped about 13 bucks on an under-weight, over-cooked cheeseburger, great fries, and a soda. The value was not good. Jax Bar and Grill was a jazz club, and the cheeseburger shared some jazz elements. There were a great many missing notes, and it left me wanting for more. 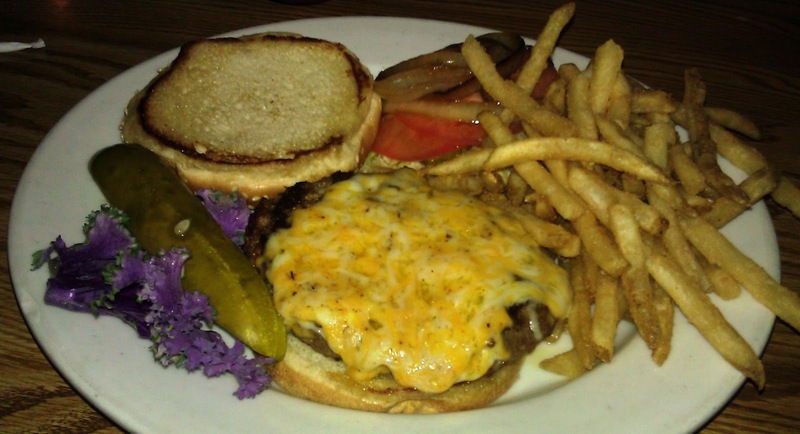 Burger Review : Jax Bar and Grill served up an average burger at a premium price. The Frisco burger was served on toast. How do you like this idea? And do you know why it's called a Frisco burger? Pete: "The shredded Iceberg lettuce was fresh, but I would never top a burger with a wet mess like that." Do you mean lettuce in general, or was their lettuce overly wet? That indeed looks like a good sear. How was the pickle? The poor forgotten pickle. I assumed it was a Frisco burger because it was served on sourdough. Burger on toast...as long as the bread is unbuttered and the patty is thin, then it can work. Shredded Iceberg, in particular. Shredding ruptures the cell wall, and it makes for a cold, wet bite. Yuck. The pickle. It was fine, but I was so underwhelmed by the whole litany of broken accords that I stopped caring.